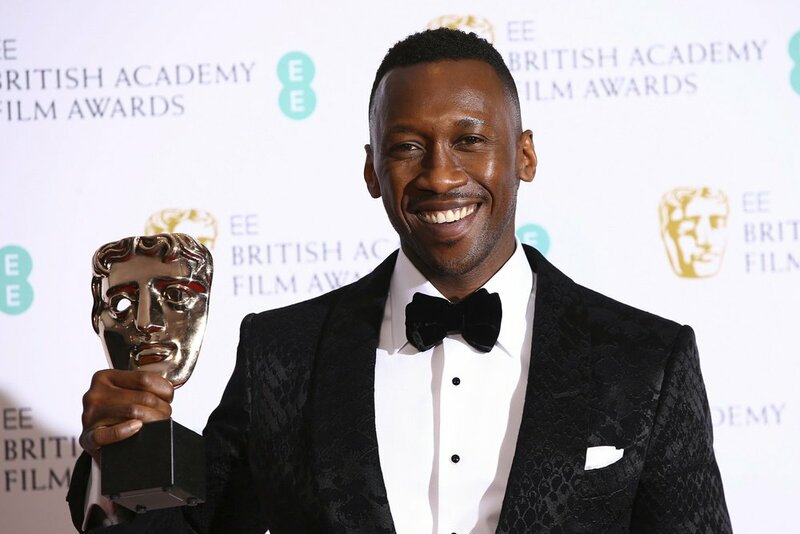 Mahershala Ali wins best supporting actor as a concert pianist touring the 1960s Deep South in “Green Book. Tragicomic royal drama "The Favourite” and Mexican family memoir "Roma” split the honors with multiple wins each at yesterday’s British Academy Film Awards — victories that suggest a wind of change may be blowing through the movie industry. "The Favourite” won seven trophies including best British film and best actress for OIivia Colman, who plays Britain’s 18th century Queen Anne in the female-centric drama. Alfonso Cuaron’s "Roma,” which centers on the nanny to a middle-class Mexico City family, took prizes for best picture, director, cinematography and foreign-language film. "Thank you for celebrating our female-dominated movie about women in power,” said "The Favourite” writer Deborah Davis, who won the original screenplay award alongside co-writer Tony McNamara. Cuaron thanked the film’s backer, Netflix, for having the courage to support "a black and white film about a domestic worker” that is not in English. Director Yorgos Lanthimos’ "The Favourite” snapped up the outstanding British film and screenplay awards as well as prizes for its opulent production design, its extravagant costumes, larger-than-life hair and makeup and the performances of Colman and supporting actress Rachel Weisz.